On Saturday 31st October Agan Tavas held a Language Day in Helston. The photograph above shows some of the people who came, outside of the old prison. In the morning there was a walk around the town with guidance in Cornish, without much help in English! This was followed by lunch in the Bell Inn. A chance for conversation in Cornish. The food was very good and not expensive. 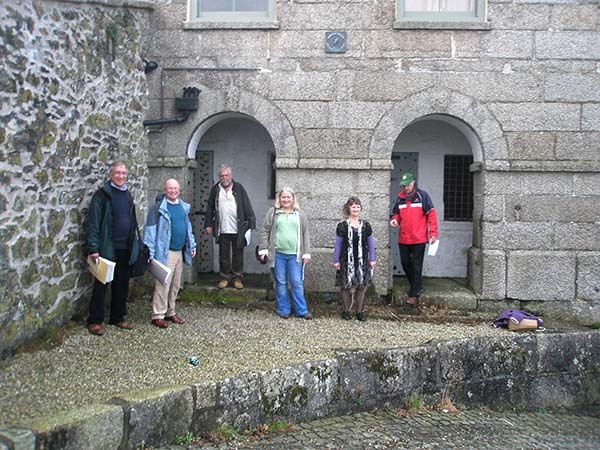 In the afternoon, after lunch, there was a visit to the Helston Museum with guidance provided by Percy Roberts. Thanks go to committee member Geoffrey Watson for organising this trip.